The púca is a celtic trickster fairy, and are said to be found near standing stones, in rural and marine regions. Harvey, as idealized by the movie, seems like the perfect companion for James Stewart’s Elwood P. Dowd. The house I grew up in had bees in the walls and bats in the attic. Literally, bats in the attic. My father apparently had a huge cleanup on his hands when they decided to sell the place. Bat poop everywhere. I recall how they would swoop over us in the evenings when we’d play basketball in the driveway. 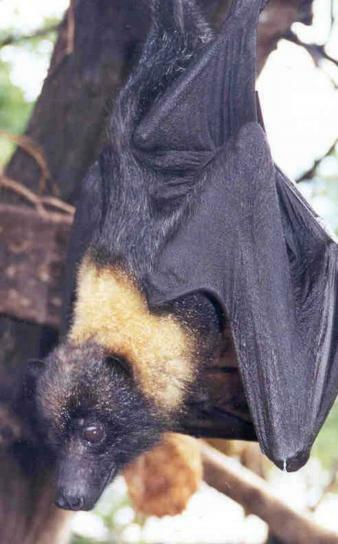 I also recall how the males in our group would run away, yelling about bats potentially getting caught in their hair. Amazingly enough, the girls in the yard, even with their big, ratted 80’s hair, were much more trusting in the bat’s ability to avoid us. To this day, an old Victorian home isn’t complete without the possibility of bats to keep the insect population down. Just sayin’. I grew up on tales of Loch Ness, so Lake Monsters are one of my top favourite critters. I also happened to grow up in the Land of Ogopogo, Champ, Memphre, and Mussie. 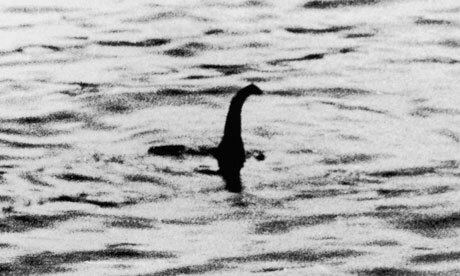 Wikipedia has a rather large list of reported lake monsters, a surprising number of which are Canadian. I grew up down the line from Muskrat Lake, so Mussie is the monster closest to my heart. On weekends, when we’d travel from Arnprior to Pembroke to see relatives, we’d often pass Muskrat Lake. I spent a large amount of time staring out my window, trying to catch glimpses of Mussie. Anyone else have a favourite spooky critter or two? Well I like Shelob the giant spider from The Hobbit and Lord of The Rings. It was hard choosing a favorite spooky creature for me too. The story about the bats is awesome. I am not scared of bats or sea monsters except maybe jelly fish, they sting and I’ve been stung by one and they are nasty. Shelob always gives me the chills. I just can’t do spiders. Nope. Not at all. I’m a wuss. I have a kind of detente with the spiders in my house….I don’t see them, they don’t get squashed. I have no idea what I’d do if it was a truly BIG spider. Probably freak out.